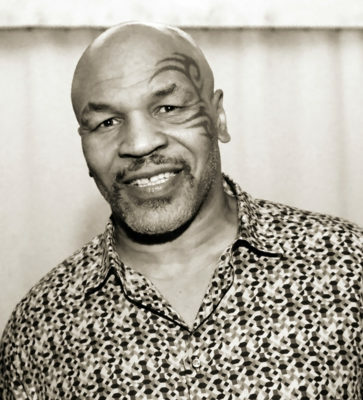 You may know Iron Mike Tyson as the youngest heavyweight-boxing champion of the world at age 20 or as a movie star from the trilogy of Hangover films. 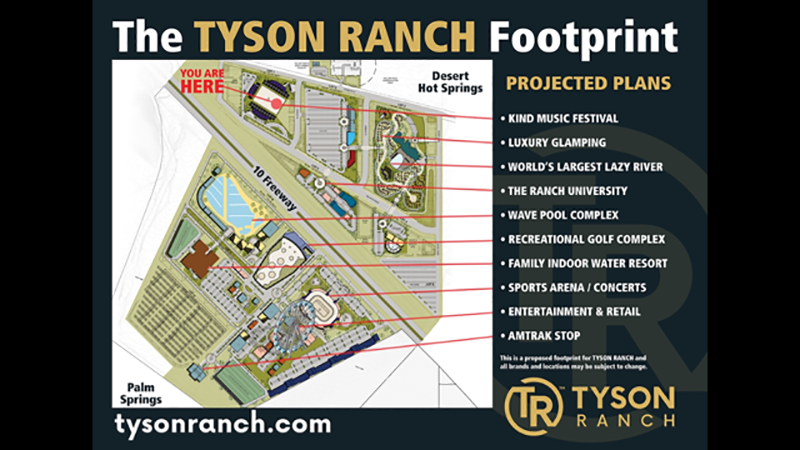 One thing is certain; he has rolled with the punches and is passionate about his endeavor, the 420-acre entertainment complex, Tyson Ranch. With the success of last February’s KIND Music Festival, It looks as if the Coachella Valley is in his corner. 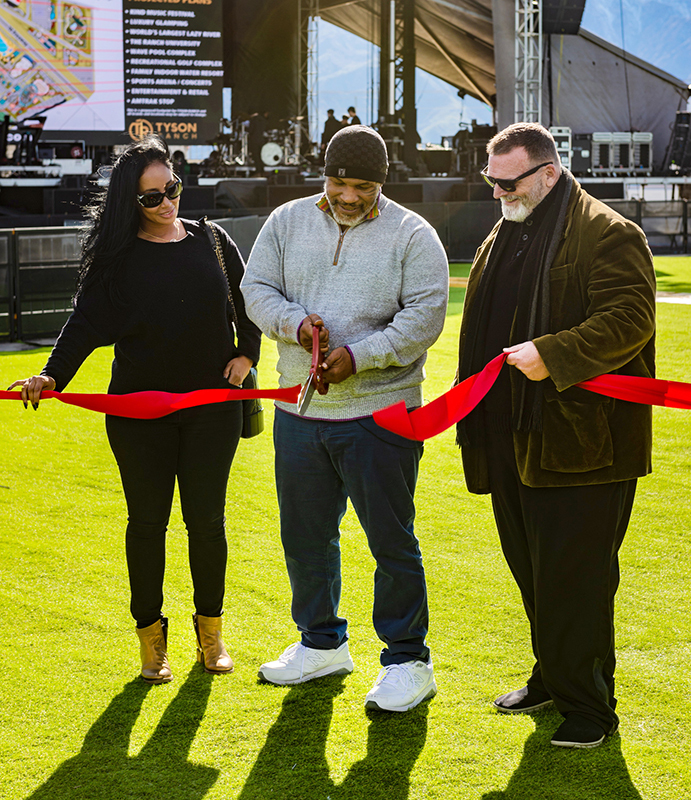 Coachella Valley Weekly spoke with the former World Boxing Association and World Boxing Council undisputed heavyweight champion to talk about the success of KIND Music Festival and the continuing development of Tyson Ranch Resort. CVW: Congratulations on the success of KIND Music Festival. How do you feel it went? CVW: You had Grammy award winning R&B artist MIGUEL, rapper A$AP FERG, L.A. punk rockers STARCRAWLER, Hip-Hop virtuoso REESE LAFLARE, UK Pop vocalist YONEE, D.I.E. and ALL MY FRIENDS HATE ME perform at KIND Festival. Were you involved in the selection the bands/artists yourself? CVW: When will the next festival be? CVW: How is Tyson Ranch coming along? Can you give us some details about where things are? CVW: What are some of the different aspects Tyson Ranch will provide? CVW: What helped you decide to build Tyson Ranch in Desert Hot Springs? CVW: Do you have any plans to build a home here? CVW: What initially made you decide to go into the cannabis business? CVW: How has using cannabis helped you and changed your life? CVW: What type(s) of cannabis do you use? CVW: Are you the sole owner of this project? CVW: When will patrons be able to legally consume cannabis at the festival? CVW: What charities are Tyson Ranch currently involved with? CVW: Anything else you would like to share with our readers? In 2019, The Ranch Group (TRG) has the capability to become the largest processors of CBD isolate and distillate derived from hemp in North America. Current facilities are located in Monterey, CA and Pueblo, CO, and Nashville, TN. TRG will eventually expand operations to different legal states. Recently, TRG received a California cannabis distribution license and will begin to distribute their packaged cannabis products throughout the state. 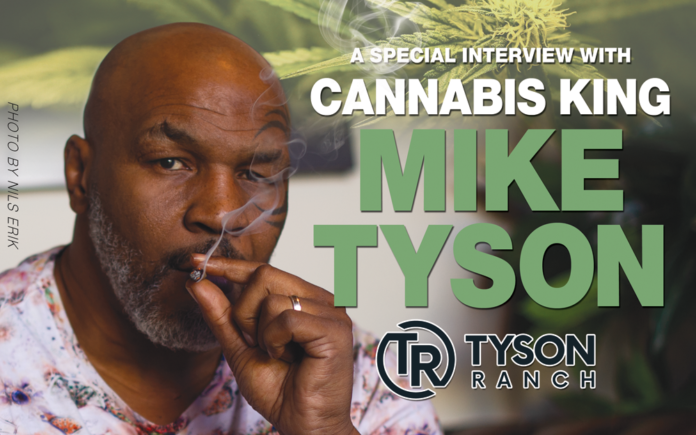 Tyson Ranch cannabis products will be launched in three states: California, Nevada, and Washington. Their product line includes flower, edibles, concentrates, vape pens, and beverages. Chill Water is a CBD-infused water designed to refresh, relax and recover without carbs or sugar. CopperGel, CopperGel roll-on, which is an FDA-registered OTC topical for arthritis, backache and joint and muscle pain relief and CopperGel Ice with pure hemp oil. Tyson Ranch has a joint venture with Cesar Millan to release Cesar Millan CBD and non-CBD Pet Treats. They debuted their product line in March 2019 at the Global Pet Expo in Orlando. Moreover, Tyson Ranch Insurance offers protection in the cannabis industry catering to the growers, dispensaries, collectives and more in recreational marijuana states. Tyson Hydroponic Store offers all the hydro supplies for indoor growers including nutrients, grow lights, tents and more. Tyson Ranch has a joint venture with Illadelph Custom Glass who is the creator of high-end functional borosilicate glass art. The brand has been a mainstay in the glass pipe industry since 2002. Charities that Tyson Ranch supports include Standing United, a non-profit organization helping people suffering from addiction and homelessness reintegrate into society and become upstanding citizens in their communities, Katie’s Art Project, connecting children facing life-threatening illnesses with emerging and established artists through collaborative programs to create a lasting legacy through art and Athletes for Care, a non-profit organization founded by former professional athletes who are uniting as one voice to advocate for research, education, and compassion when addressing important health issues. Look for Tyson’s podcast, HOTBOXIN’ with Mike Tyson and co-host Eben Britten on iTunes, Spotify, Pandora and YouTube. Also, be prepared for a television series in the vein of Larry David’s Curb Your Enthusiasm. 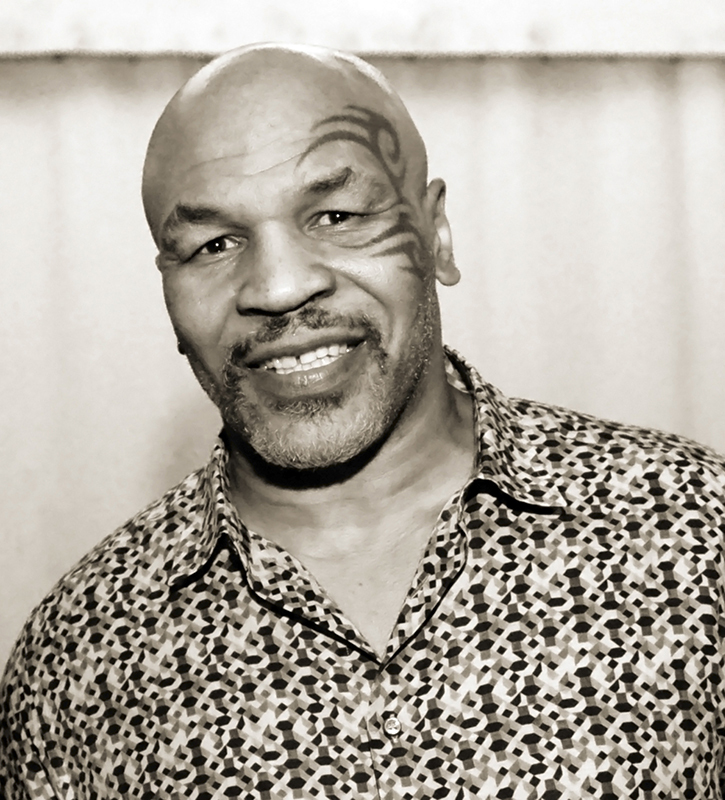 Rolling with the Punches will feature Tyson playing the president of a new cannabis company.